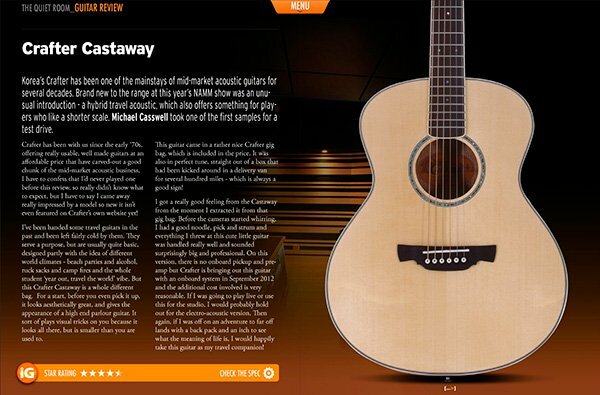 The Crafter Castaway Series gets a 4.5/5 star review in issue 11 of iGuitar Magazine. 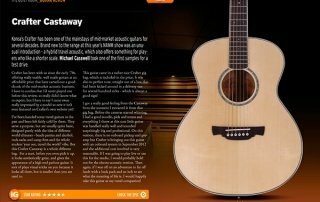 Michael Casswell delivers some lovely playing samples that show off the volume that can be achieved in such a small bodied guitar. Brand new at the time of review but the series has now been expanded to include vintage finishes plus some LiteCast models that are on the horizon in spruce and mahogany! Coming in 2013. Click here for the full review with video.